(NEWARK, N.J., July 24, 2013) New Jersey dropped to 5th place in the national KIDS COUNT Data Book released today, from 4th last year, but New Jersey’s children still fare better than most of their young peers across the country. In addition to the overall ranking, the report rates states in four areas of child well-being: Economic Well-Being, Education, Health and Family and Community. New Jersey remained 2nd in the nation for its students’ high performance on academic measures, surpassing national averages for more children attending preschool, more 4th and 8th grade students scoring at or above proficient in reading and math and more high school students graduating on time. The state received its worse ranking – 18th — for the economic well-being of families, as many New Jersey families continue to struggle to make ends meet. While New Jersey continues to lag in this area, it did move up from 19th place last year. The annual report from the Annie E Casey Foundation also found that New Jersey lost ground on measures of child health, dropping to 13th place this year, compared to 5th last year. Health measures include the incidence of low-birth weight babies, uninsured children, child and teen deaths and teens who abuse alcohol or drugs. In the area of Family and Community, New Jersey continued to rank 9th. This area measures the percentage of children living in single-parent households, education level of parents, children living in high-poverty areas and the teen birth rate. “Clearly, New Jersey’s investment in education pays off, as the state continues to lead the nation in critical academic areas, including children attending high-quality preschool,” said Cecilia Zalkind, executive director of Advocates for Children of New Jersey, which produces the state-level Kids Count reports. The KIDS COUNT Data Book includes the latest data on child well-being for every state, the District of Columbia and the nation. This information will be available June 24 at 12:01 a.m. in the KIDS COUNT Data Center, which also contains the most recent national, state and local data on hundreds of other measures of child well-being. The data center allows users to create rankings, maps and graphs for use in publications and on websites, and to view real-time information on mobile devices. The Annie E. Casey Foundation is a private national philanthropy that creates better futures for the nation’s children by strengthening families, building economic opportunities and transforming neighborhoods into safer and healthier places to live, work and grow. 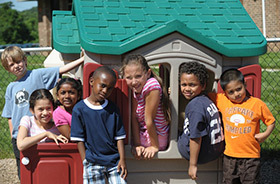 For more information, visit www.aecf.org. KIDS COUNT® is a registered trademark of the Annie E. Casey Foundation. Advocates for Children of New Jersey is a statewide child research and action organization dedicated to ensuring that every child has the chance to grow up safe, healthy and educated.